Some pond owners combat unwanted lake water level reductions by pumping in groundwater from a well, but caution should be used as well water is low in dissolved oxygen. Providing structure in deeper areas of the pond ensures that fish habitat will be available regardless of water level. An aeration system can be used to help prevent fish kills during low-water months when fish or crowded (see below). While most ponds and lakes have some amount of seep, porous soils and leaks under or through the dam can cause water levels to drop rapidly or maintain water below desirable levels. Walking behind the dam can reveal soggy or wet soils that may indicate a substantial leak in the dam. Planned or manual water level manipulations can be beneficial. Scheduled drawdowns can assist with aquatic vegetation control by allowing shallow bottom sediments to be subject to freezing or drying out. Low water levels provide an opportunity to repair damage to shorelines caused by erosion or cattle trampling, and to reshape shallow bank slopes. Though it can be expensive, this is also a good time to excavate silt deposits. Who ever heard of fertilizing a lake? The application of commercial fertilizer can result in up to a four-fold increase in pond fish production. Fertilization stimulates the growth of phytoplankton algae that forms the base of the pond’s food chain. When properly managed, fertilization can also control submerged aquatic vegetation in water deeper than 3 feet. Use caution though because a poorly executed fertilization program will provide little benefit and can easily kill fish if too much is used. 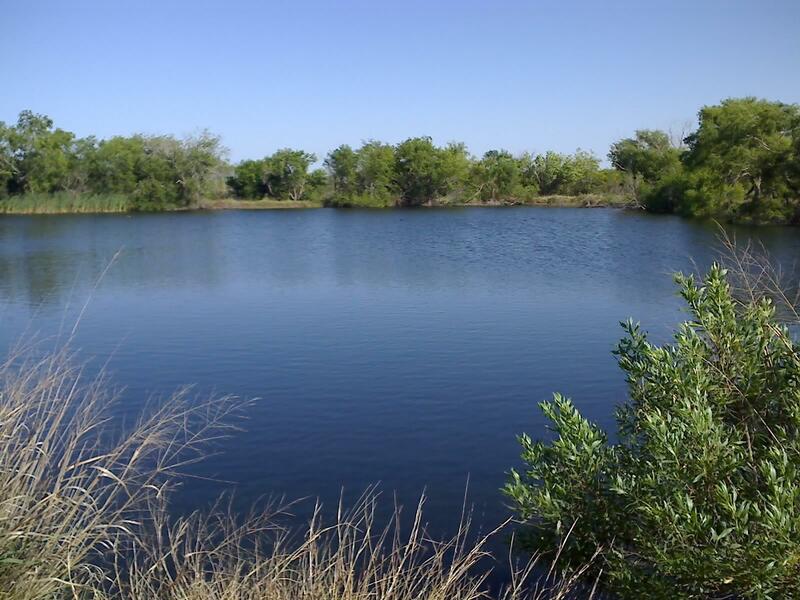 The details of a lake fertilization program are too extensive to go into in this article, so please see texas lake fertilization if considering a starting a program on your lake in Texas. Further, be prepared to commit long term to this program, as one-time or random fertilizing of your lake can increase aquatic weeds; and since this will cause an increase in the total food supply, the result will be more and larger fish. If fertilization stops, there is not enough food for the increased weight of fish. A fertilization program can be used with either water-soluble granular, powdered, or liquid fertilizer. Begin fertilization in the spring when water temperatures consistently stay above 60°. Your fertilization program can continue until late September for best results and usually between 4 and 7 applications of fertilizer will be needed during that time. Ponds and lakes stocked only with catfish that are fed more than 3 times a week, should not be fertilized. The general rule in determining the need for an aeration system is whether your pond contains greater that 1000 pounds of fish “biomass” per surface acre. In most predominantly bass/sunfish ponds this carrying capacity is rarely exceeded. However, in fed catfish ponds, this threshold is occasionally exceeded by pond owners who do not harvest fish appropriately. Often, pond owners derive such pleasure from watching their “pets” grow and feed that they fail to harvest sufficiently to keep total fish biomass within the 1000 pounds per acre limit.